Chicago Cubs Born in Riverside, California. 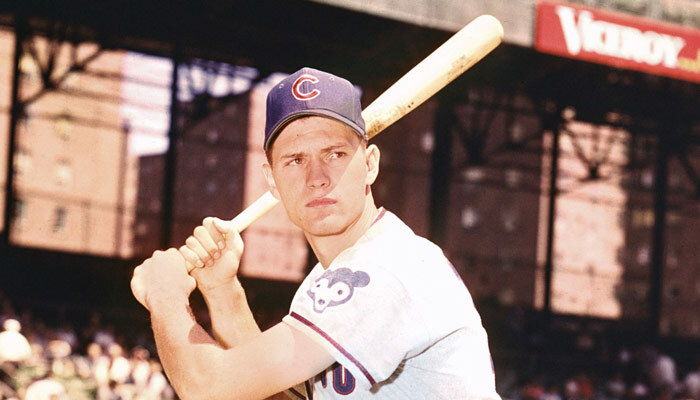 Signed by the Chicago Cubs as an amateur free agent in 1959. He began his Major League baseball career two years later. In 1962, he was rookie of the year. He set a major-league record with 78 consecutive errorless games. “Hubbs of the Cubs” was the first rookie to win a Gold Glove. He played for three seasons and ended his big league playing career in 1964 when a private plane he was piloting crashed in Utah, killing him.